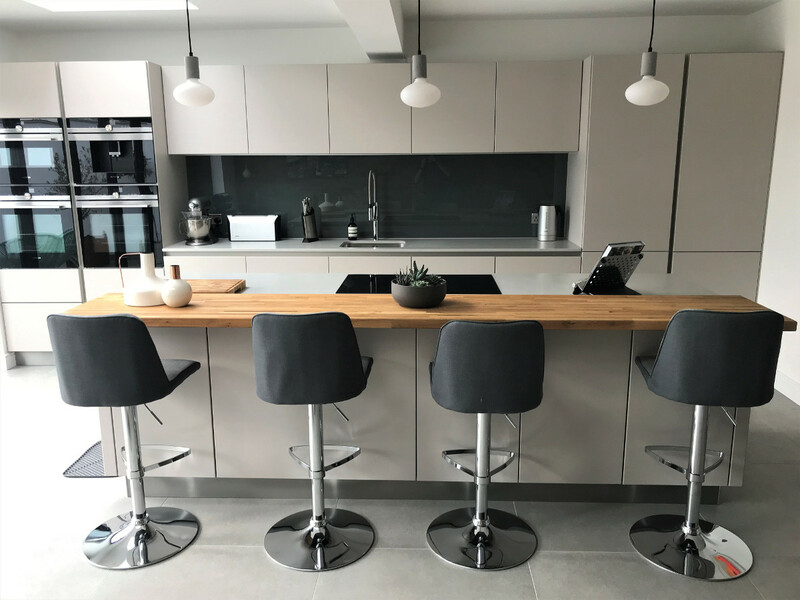 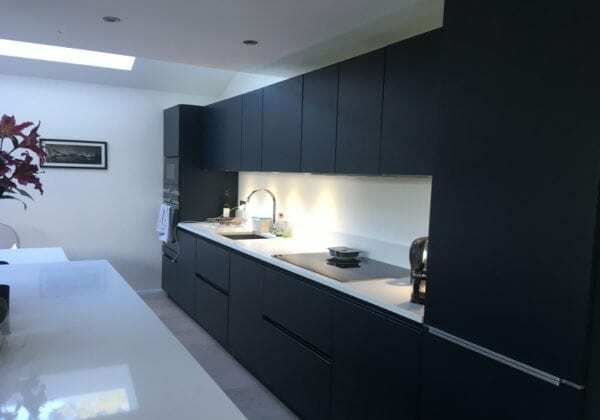 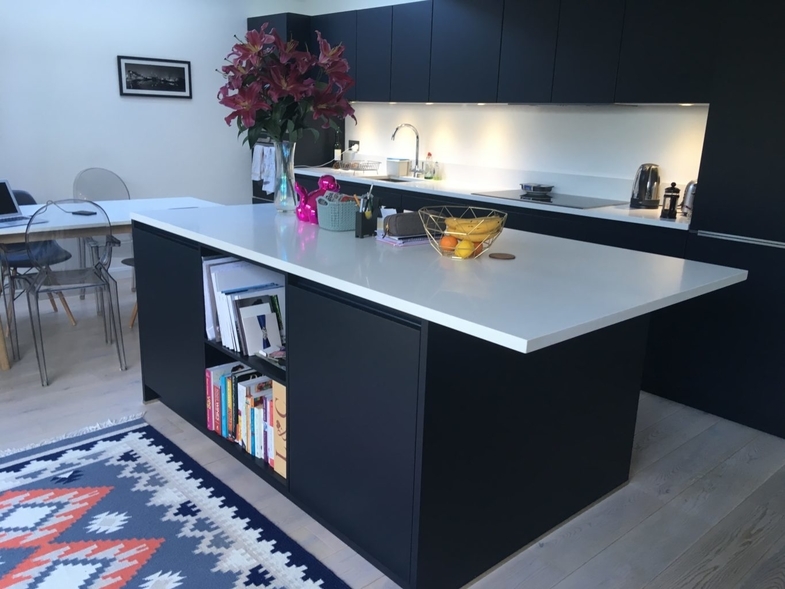 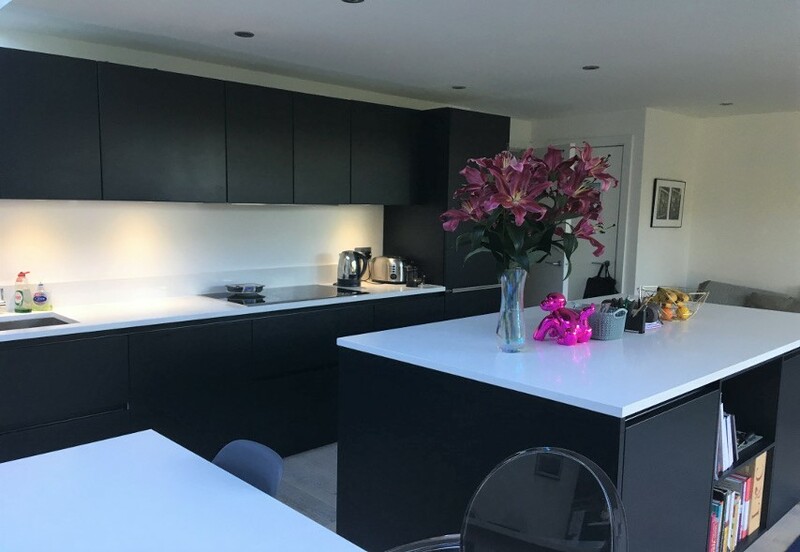 Thank you to Lizzie Middleton for letting us have these photos of her newly completed kitchen. The door colour is Indigo blue in satin lacquer finish from our C range. 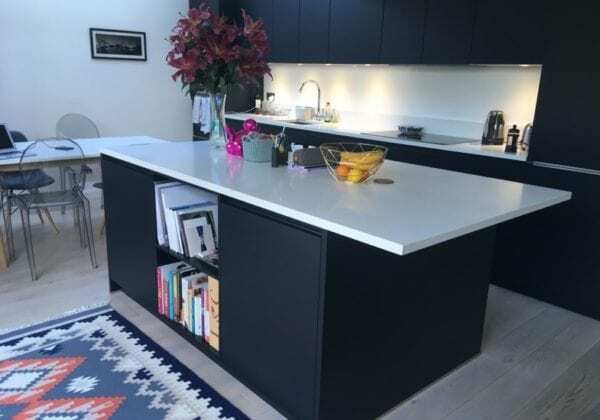 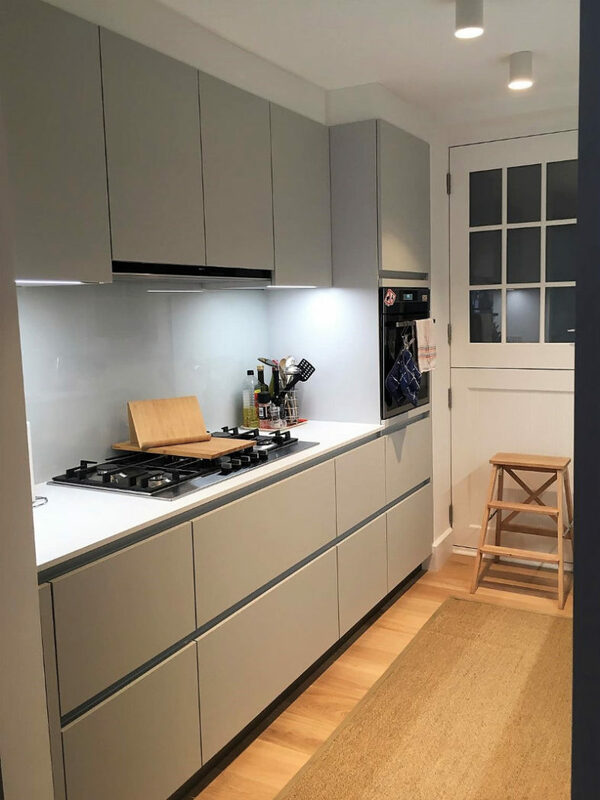 The worktop is Quartz Bianco white, 30 mm thick with off-white toughened Pilkington glass splashback. 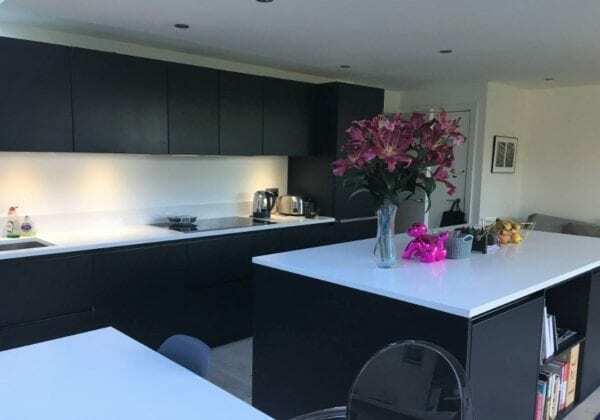 Thanks again Lizzie, the kitchen looks superb!